The Alchemika Plastics Factory in the Camp de l’Arpa neighbourhood of Barcelona formed part of the old Costa Font industrial complex. The facilities, which took up two entire city blocks, are a Francesc Mitjans work and were built towards 1950. The current urban plan required the preservation of its original facade in its transformation into a mixed-use building. The construction of this facility completes the process of converting one of the blocks brought about by implementing a diverse, social agenda via a library, a nursery school, a community centre, and a residence for the elderly. From the beginning, the conservation requirements placed on the shell of the old building affected the process of fitting everything into a complicated program. The brick work facade and the large, evenly-spaced vertical windows were existing features of the building that the project looked to incorporate by creating new interior spaces in a manner fitting to their scale and character. The difference in height of more than one floor between the two street corners meant that a substantial part of the project had to be realised underground. The shape of the narrow plot, the long dividing wall, and the density of its uses made it necessary to look for methods for drawing light into the heart of the building. A system of alternating solid and empty longitudinal strips connects the various uses and spaces in both plan and sectional view. 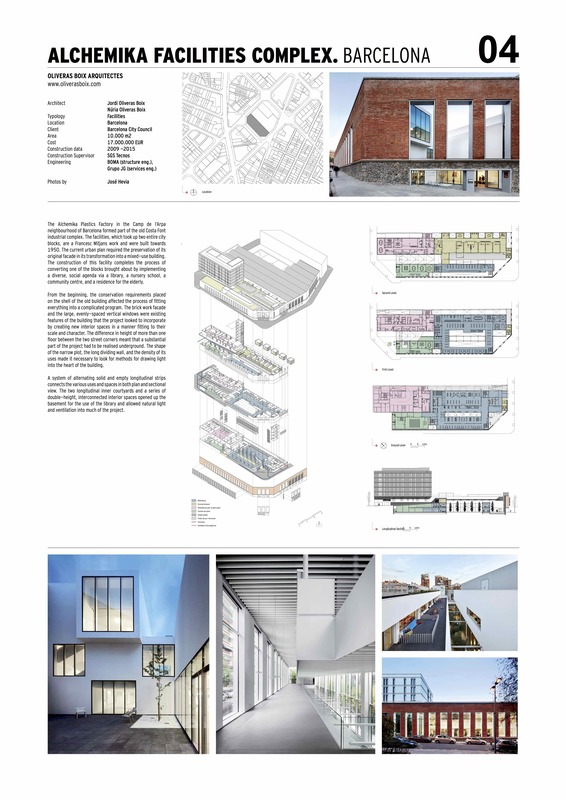 The two longitudinal inner courtyards and a series of double-height, interconnected interior spaces opened up the basement for the use of the library and allowed natural light and ventilation into much of the project.